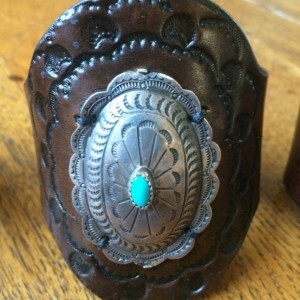 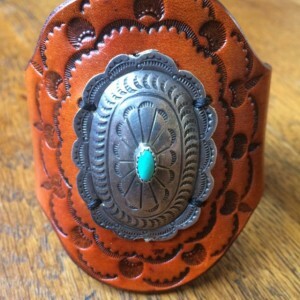 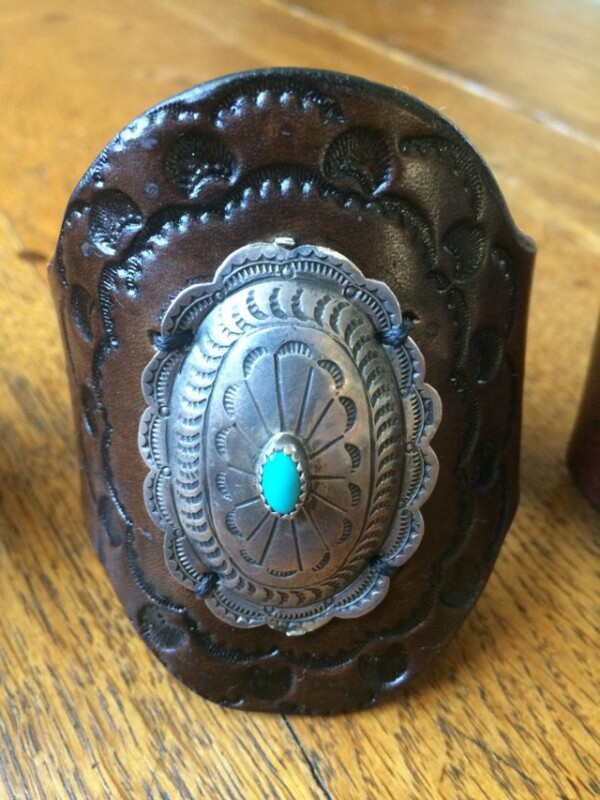 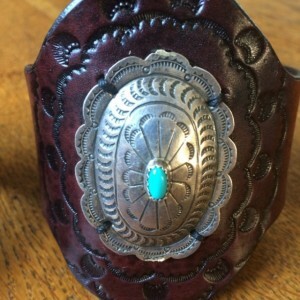 Hand stamped, western style leather cuff, fastened with an upcycled vintage concho. 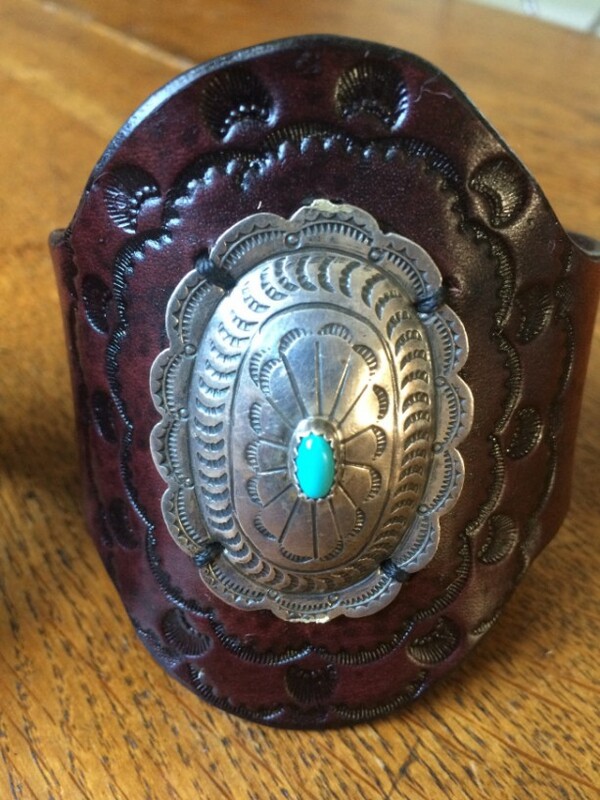 Each bracelet measures 9 inches laid flat, with 2 snap closures to adjust down to a 5-6 inch wrist. 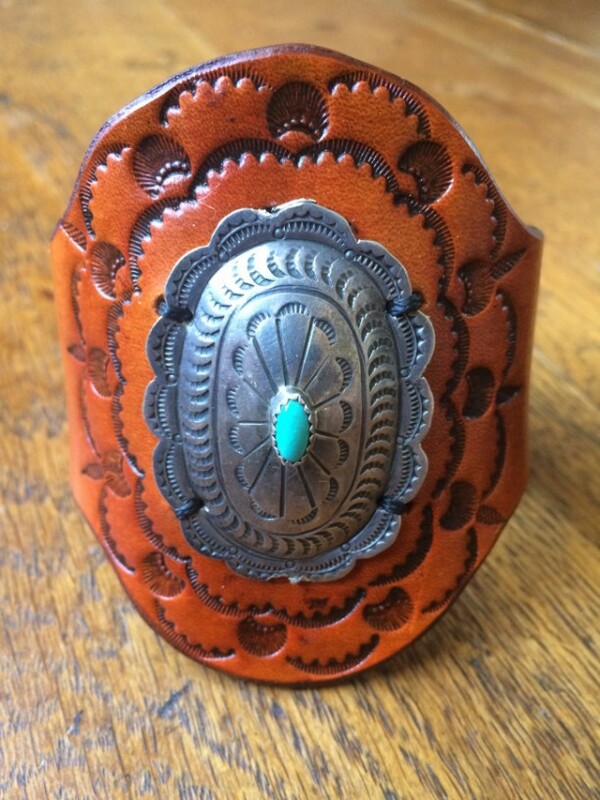 Available in mahogany, saddle tan, or brown.